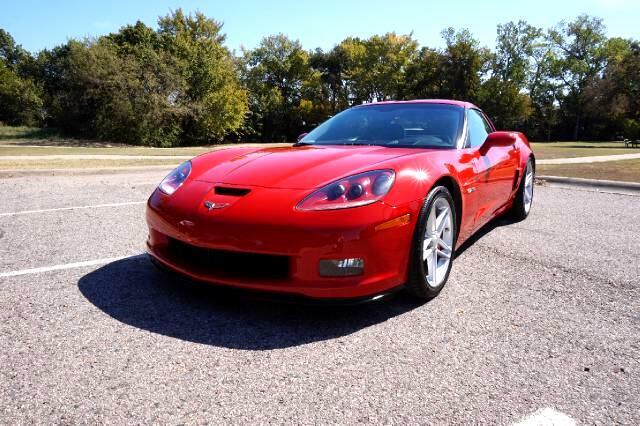 We are proud to offer you a beautiful 2007 Chevrolet Corvette Z06 with 22,350 miles! This 2007 Chevrolet Corvette Z06 is powered by a smooth and responsive 7.0L V8 with 505hp and is mounted to a 6 speed manual transmission. The exterior on this Chevrolet Corvette is finished in a glossy and smooth cherry red color. This Gorgeous Corvette comes with some nice upgrades such as: Fog lamps, Hard top, Auxiliary port, Premium wheels, Bose premium sound, Navigation, Heads-up-display, Heated seats, and much more! We have included over 60 pictures so you can judge for yourself the condition this sharp Corvette is in. For your peace of mind, we remind you that Extended Warranties are available for this Corvette. As always, we welcome third party inspections. We offer fast and easy financing programs. We welcome trade-ins. We offer free airport pick up, worldwide shipping and a full line of extended warranties. So, if you are in the market for a very affordable Chevrolet Corvette, please take a closer look at this super sharp 2007 Chevrolet Corvette Z06 that is offered at a LOW BUY IT NOW and PRICED TO SELL!!! Please contact My New Used Car by phone or e-mail today. Justin (972)221-9456 or Brent @ (817)229-6391.